"Jack Holloway died in Christchurch on 10th June 1977 after a brief illness. On all counts a modest man, he nevertheless made signal contributions to the literature of New Zealand botany, chemistry and geology; elaborated a novel hypothesis, relating climatic change and forest composition in South Island forests over the past 1000 years, that stands as one of the seminal works in the literature of New Zealand biology; exerted a profound and lasting influence on the development of forest ecology and high-country management in New Zealand; and, most appositely for this memoir, planned and achieved a sequence of alpine and geographical explorations in the mountains of Northwest Otago that are unique in the history of mountaineering of this country. It is impossible in a notice of this kind to cover at all adequately the breadth of achievement of Jack Holloway for he was a multi-faceted individual such as in thrown up but rarely in any generation. He was born on 15th November 1914 at Oxford, North Canterbury, where his father, Rev. J.E. Holloway D.Sc., F.R.S., was vicar. In addition to his pastoral duties J.E. Holloway was pteridologist of international repute and followed in the worthy 19th Century tradition of Churchill Babington, Miles Berkeley and William Colenso, all parson-botanists who contributed significantly to the development of New Zealand botany. 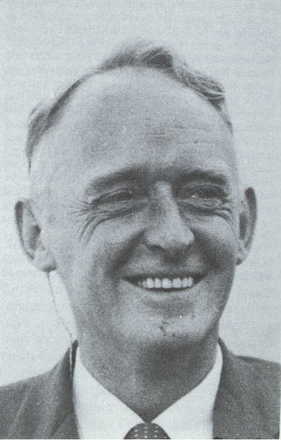 Jack Holloway entered Otago University in the early 1930s and worked towards a degree in science in which endeavour he was influenced by his father in botany, J.K.H. Inglis in chemistry and W.N. Benson in geology. Under his father's guidance he prepared his M.Sc. thesis on "Ovule anatomy and development and embryology in Phyllocladus alpinus and P. glaucus", for which he gained First Class Honours in 1936. The results of this investigation were published in the Transactions of the Royal Society of New Zealand the following year. Also in 1937, as Duffus Lubecki Research Scholar in Applied Science he concluded a thesis on "Constituents of the essential oil of Podocarpus spicatus" in the Department of Chemistry where he was a student along with T.H. Kennedy and S.N. Slater, colleagues and friends who shared a rapport that deepened and strengthened with the years. His chemical work gained him another First Class Honours and as well as the Shirtcliffe Fellowship of New Zealand which took him to London in August 1938 for Ph.D. studies in plant physiology at Imperial College and Rothamsted Experimental Station at Harperden, Herts. At the outbreak of war he returned to New Zealand, arriving back in November 1939, and immediately joining the Armed Forces. He married Una Stevenson early in 1940 and in March of that year left New Zealand with the 11th Forestry Company of the Corps of Royal New Zealand Engineers as part of the Second Echelon." Remember John Thorpe Holloway by laying a poppy.